As a seller's broker, Yana Milanova genuinely connects to the property she is representing, as she believes that having full confidence and pride in the product is the only way to achieve great results. Working as intently with buyers and renters, she is equally patient, knowledgeable, and dedicated to facilitating the best outcome for their needs. Yana's passion for NYC is enhanced by her hands-on experience, market expertise and absolute commitment, which makes her a strong asset to her clients. 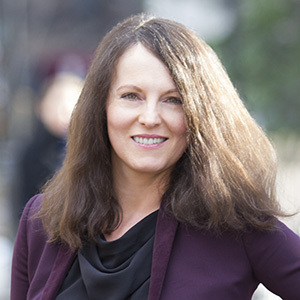 She is a consummate real estate professional who takes every measure to provide the honest advice, relevant information, and smart choices clients need to make decisions, whether the task be to find their first Manhattan apartment, or sell a long-time home. Before entering the world of real estate, Yana honed her financial savvy and analytical mind as a currency trader. She was also a founding partner at a boutique marketing agency. As a true entrepreneurial spirit, she enjoys the challenges and creativity of her real estate profession, and the reward of providing clients with a seamless real estate experience.